Over the years Ravenna Pattern & Mfg. has evolved its engineering capabilities to the latest, most advanced CAD/CAM systems the market has to offer. Ravenna Pattern is fully design capable from casting to tooling. Our engineers can provide custom designs to fit our customers needs, and implement engineering changes at an extremely rapid pace. 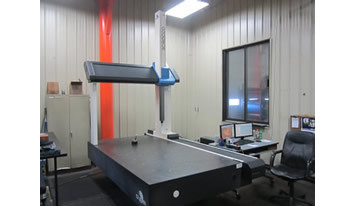 Equipped with a Romer Absolute 7525SI Laser Scanner operating off Polyworks software, we are able to reverse engineer and generate 3D Models off of any existing part to provide data to the customer, or begin generating programs from the data that was collected. Our knowledge of the tooling industry and advanced CAD/CAM systems allows us to give our customers the right answers for any engineering questions they may encounter. With a design team of 8 designers/programmers using the latest up to date versions of Unigraphics NX, Solid Works, Auto Cad, Work NC, and MasterCam. Ravenna Pattern is committed to servicing all of your engineering needs ensuring on time delivery at a competitive price.